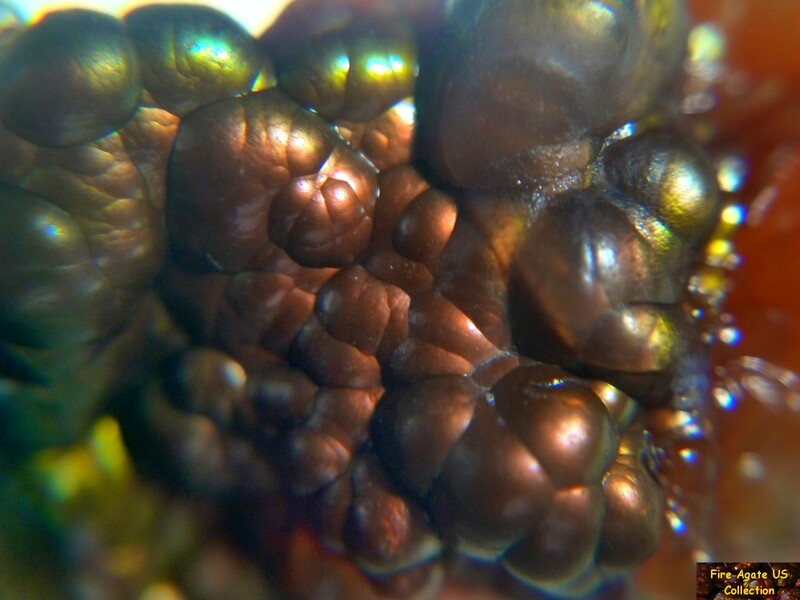 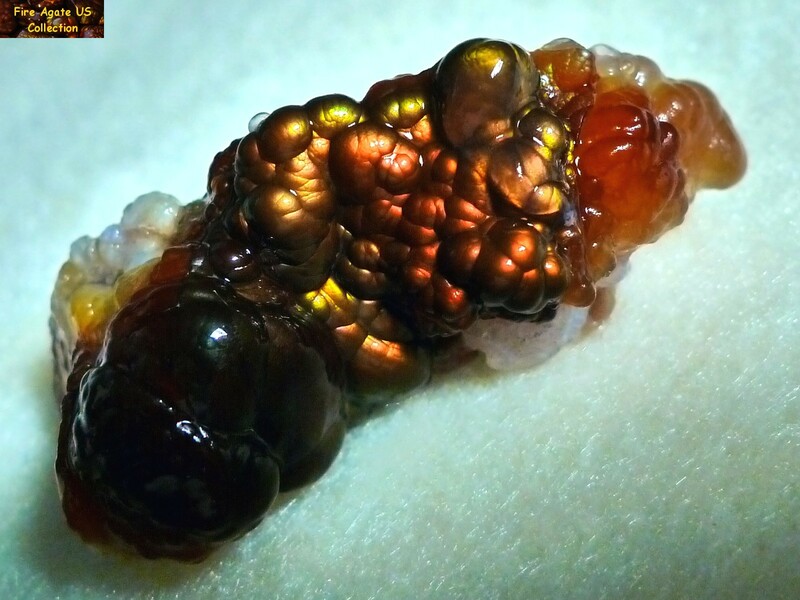 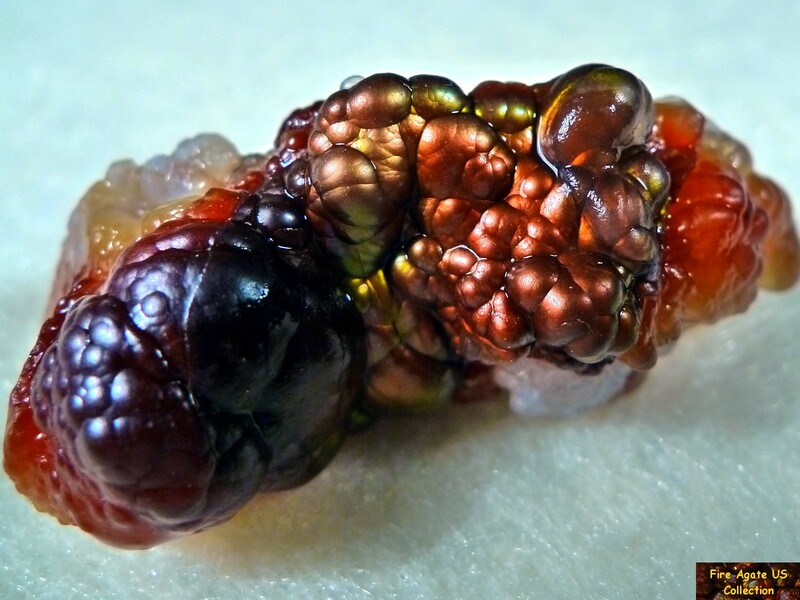 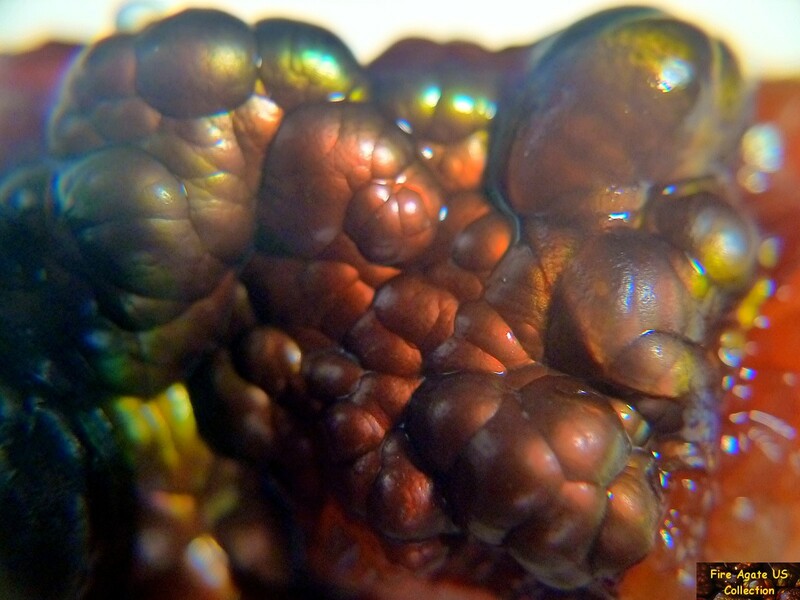 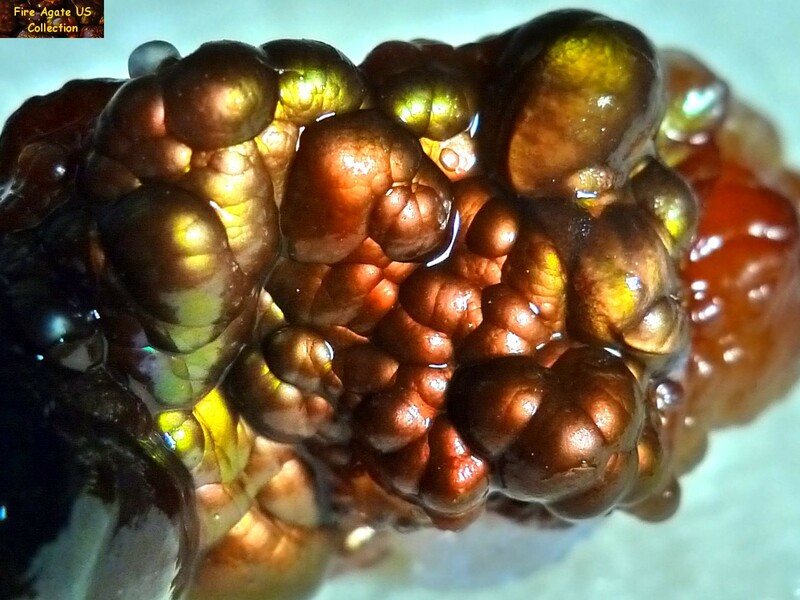 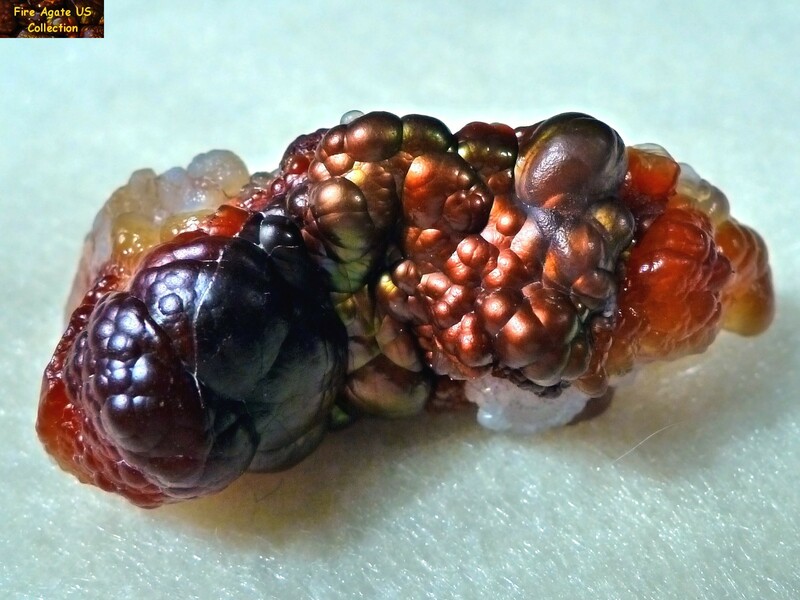 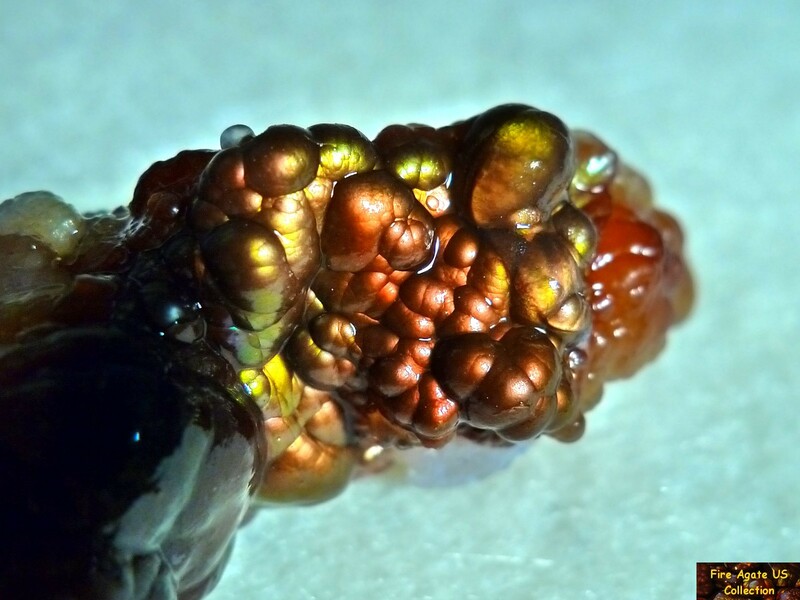 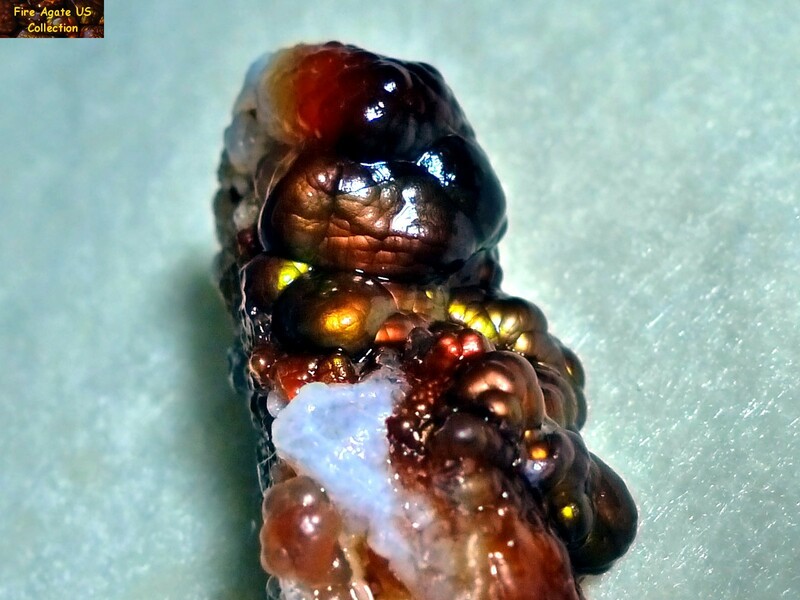 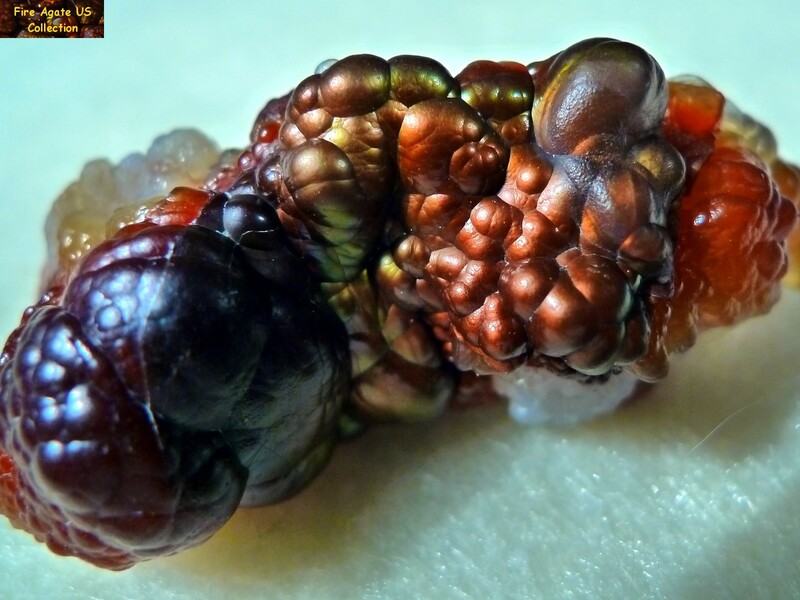 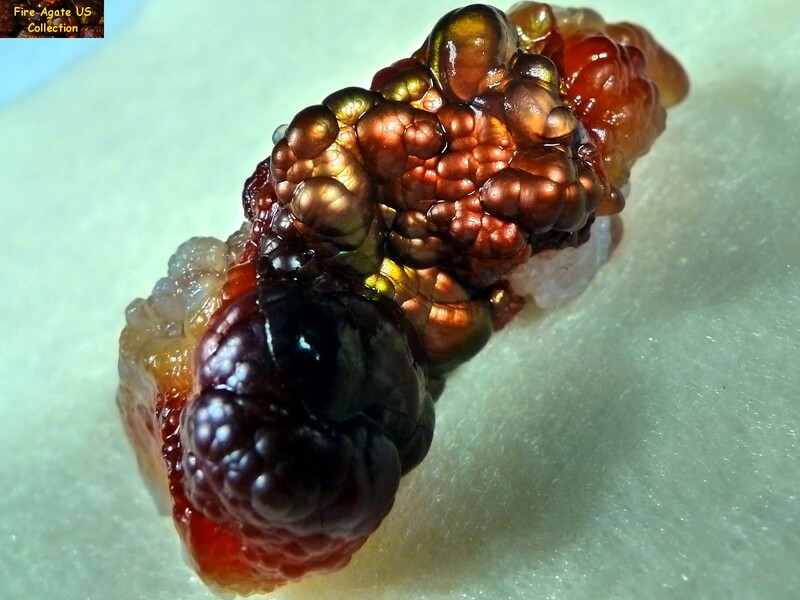 This bright and colorful piece of natural fire agate gem rough weighs 19.4 Grams (97 carats) and is covered with a large section of visible fire. 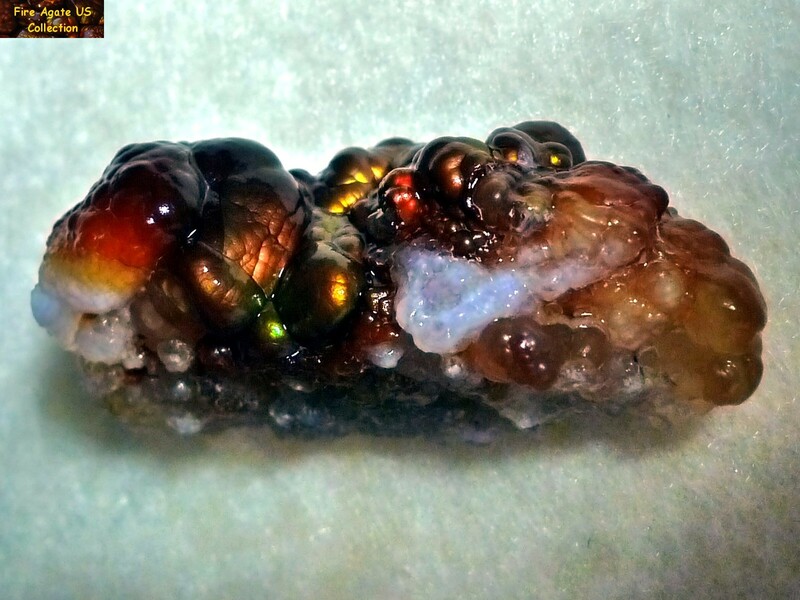 It measures 44 x 20 x 18 mm in size and displays orange, red, green and gold colors. 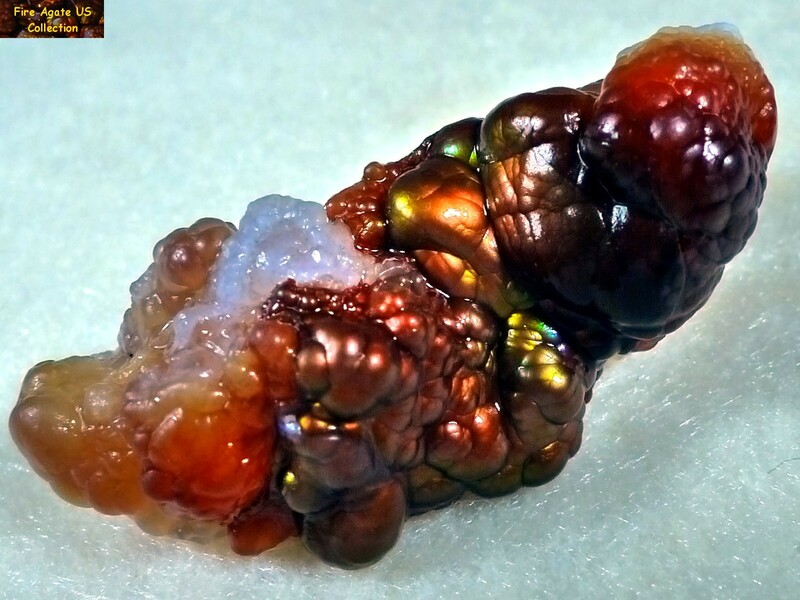 This piece of fire agate rough originates from Deer Creek, Arizona, known for fire agate gemstones with vivid reds and oranges to intense greens, purples and blues.